Yesterday we already gave an introduction to making money with Google AdSense and WordPress. You now know how to create an AdSense account and how to place ads on your WordPress site. But you will undoubtedly still have a lot of questions. In this article, we will answer the most frequently asked questions about Google AdSense and WordPress. Google AdSense is a Google advertising network that offers anyone with their own website or blog the opportunity to earn money by displaying advertisements on their site. These advertisements are determined by Google, based on both the content of the website and the visitors. A significant advantage of AdSense is that you don’t have to make contact with advertisers yourself or have to go after your money. Google does all that for you! Google collects the payment, takes a small part for management, and sends the rest of the money to you. AdSense offers so-called cost-per-click (CPC) advertisements, which means that you receive money every time a visitor clicks on your advertisement. How much you get per click depends on various factors. 1. What is the difference between Google AdSense and Google AdWords? Google AdSense offers the possibility to earn money by displaying advertisements on your website. Google AdWords allows you to advertise on other sites (including those participating in the Google AdSense program). 2. Why did Google AdSense reject my application? Google Adsense can reject your registration if your website does not meet the requirements of the AdSense program or the Google Terms and Conditions. Also, the applicant must be at least 18 years old, and the website must have existed for at least 6 months. Note: Even if your application meets all requirements, Google AdSense still has the right to reject your application. 3. Can I click on my own Google AdSense ads? Many beginners tend to click on their own ads or ask their friends to do this. But that is of course not the intention, and certainly not recommended. Google’s algorithm is brilliant and knows when you click on your own ad. This type of promotion can cause your application to be withdrawn. 4. Can I also add Google AdSense to my WordPress.com blog? WordPress.com does not yet allow you to add Google AdSense to your blog unless you upgrade to the Business plan. Also, read our blog post about the differences WordPress.com and WordPress.org. 5. I already have an AdSense account for YouTube. Can I also use it for WordPress? Yes, that’s possible. You can change your existing AdSense account to use it for your WordPress website. This can be done by logging in to your AdSense account and then going to My Ads> Other Products. Click on Upgrade now and complete the registration form. You must of course also provide the URL of your WordPress website. 6. What is the best place for AdSense ads? That depends entirely on the layout of your website. The goal is to generate as many clicks as possible, so it makes sense to place your ads in a prominent place. Advertisements that appear at the top of the screen usually get the most clicks. 7. What is the best format for AdSense ads? Although the location is the most important, it appears that your choice of dimensions can also influence how many clicks you get. Research has shown that ads on 336 × 280 and 300 × 250 are the best: these ads fit on most screen sizes and also yield more. 8. 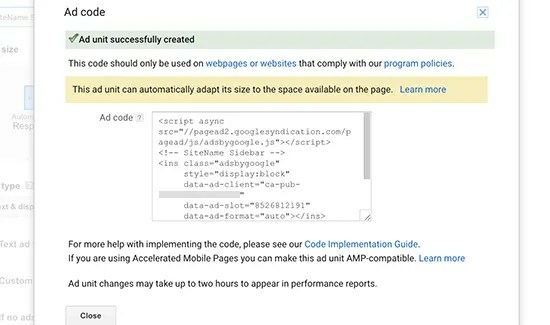 What does Page RPM mean in Google AdSense? RPM stands for Revenue Per Mile or your turnover per 1000 views. This is determined by multiplying the total number of clicks by the cost per click and dividing that number by the total number of page views. CTR or click-through rates can vary widely per website. Your clicks depend on many factors, such as the topics of your site, the type of visitors you attract, where your ads are displayed, and so on. The ideal CTR for Google AdSense is difficult to determine because you have no insight into the CTR of similar websites. However, AdSense is equipped with tools that show you notifications if your CTR is substandard. 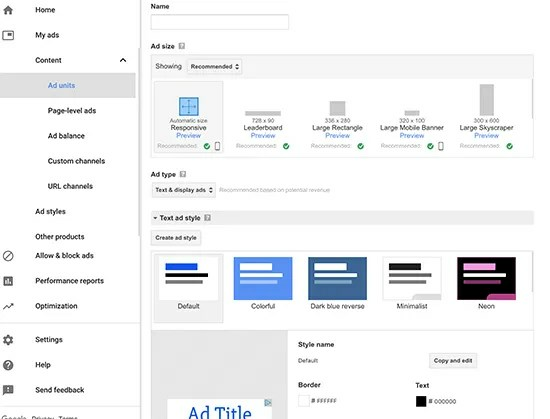 You can follow the optimization manuals on the Google AdSense Dashboard to improve your sales. 10. When and how do I get paid? 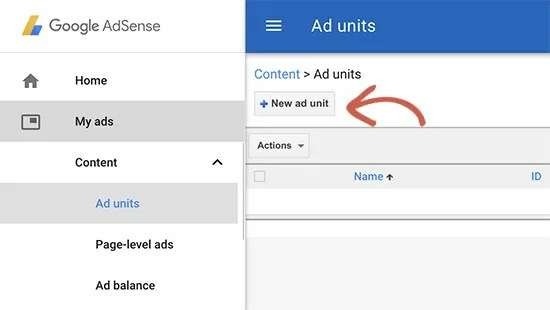 The earnings of the previous month are calculated each month by Google Adsense and displayed on your Transactions page. If your earnings match the required minimum amount, your payment will be processed and released between the 21st and 26th of that month. There are different payment methods available. Google AdSense is one of the easiest methods when it comes to making money with your WordPress blog or website. Do you also want to earn money with Google AdSense and WordPress? Now, after we have addresses the most commonly asked questions, we can proceed to explain how to get started! Make money with Google AdSense and WordPress – where do I start? We assume that you already have a WordPress website or blog. The first thing to do is sign up for a Google AdSense account. If you already have a Gmail account, you can use it to sign up. After registration, you will receive an e-mail within a day stating whether you have completed the first step of the verification process. If you have passed that first check, you can log in to your AdSense account and retrieve your ad code. Click on the My Ads tab and then on the New ad unit button. You must then name your ad unit and configure the settings. The name of the advertisement is for internal purposes only, so feel free to choose a name that you find useful. Advertising style offers you the possibility to determine the appearance of your text-based advertising units. We recommend that you use the color palette of your WordPress website for the best results. And when there is no advertisement available? Then you can choose to collapse the advertising space or fill it with your own ad. This is then shown if Google cannot find a suitable advertisement (which is hardly ever the case). Once you are done, click on the Save and get code button. You can then copy the ad code. Keep it in a safe place because you will need it in the next step. How can I add Google AdSense to WordPress? Okay, now you have to decide where on your WordPress website you want to show the advertisement. Many advertisements are displayed in the sidebar. You can add Google AdSense to your sidebar with a Custom HTML widget, where you then paste your Google AdSense code. Of course, you can also choose another place to show your advertisements, such as in the header or footer. Keep in mind that the goal is to generate as many clicks as possible. That only works if your ads are in a prominent place. Once you have placed your ad code, save the changes. Now you can start making money with Google AdSense and WordPress!